Philana Benton’s internships paid off, now she helps others. Last year, Benton became an Information Technology Instructor training over 160 students ages 18 – 24 in Web Development, Hardware, Help Desk and IT support, at Year Up. The nonprofit has branches nationally and provides young urban adults with the skills, experience, and support to bridge the opportunity divide. As a student in Spelman College’s dual degree program in computer engineering, Benton interned or had co-ops at Cornell University, Xerox, Boeing, the CIA, Zynga, Amazon, and the University of Michigan between 2007 and graduation in 2011. Benton was then hired by Microsoft as a Software Development Engineer. On her own, she worked as a technical co-founder of a startup, before joining Year Up. Benton, a member of the National Society of Black Engineers, has both a BS in Engineering/Computer Engineering from the University of Michigan and a BS in Computer Science degree from Spelman College, a historically black college for women. Kobby Addai leads at work and builds homes for the needy. Addai, who has a BS Degree in Electrical Engineering from historically black, Morgan State University, is a Domain Manager in the Interfaces and Data Delivery section at global human resources company, Aon Hewitt. His prior position at the firm was as a Lead Programmer Analyst. Since 2008, Addai, whose family is from Ghana, West Africa, has spent part of each summer with the Sandtown Habitat for Humanity chapter building houses in an impoverished Baltimore neighborhood. Previously, he worked for Stanley Black & Decker, which sells tools and storage, commercial electronic security, and engineered fastening systems. Addai earned his MS in Information Systems at The Johns Hopkins University. Mayte Quiros is a skilled infotech specialist in Miami-Dade County. 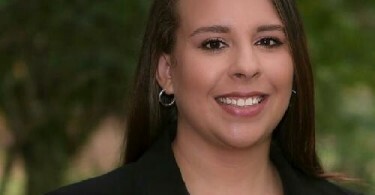 The education Quiros received to become a System Engineer in Computer and Information Technology at the Universidad Bicentenaria de Aragua, Venezuela made her an attractive hire for Miami-Dade County in 1998. From that foundation, she rose to her current title, Senior System Analyst and Programmer for the Miami Dade County Information Technology Department. Quiros is the Project Lead and System Administrator for the Automated Arrest Form System and the Point of contact for 37 Miami Dade County Law Enforcement Agencies and Criminal Justice supporting agencies. These include Clerk of the Courts, State Attorney’s Office, Public Defender’s Office, Correction and Rehabilitation, Juvenile Services Department, and Administrative Office of the Courts. April Tinhorn brings First Nation insight to her STEM business. Tinhorn is the owner of Tinhorn Consulting, a Phoenix, AZ area, integrated marketing and consulting firm. In 2005, Tinhorn, a member of American Indian Science & Engineering Society, founded a company that “understands Indian Country” and can share an organization’s story using cultural strategic planning, digital storytelling, web development, and training services. All of which was terrifying. “I took a huge risk by leaving a lucrative salaried ​position to start my own company. Carpe diem!” Tinhorn says. 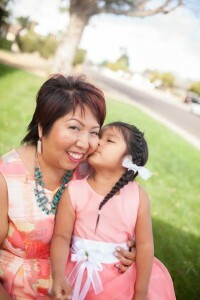 She is of Hualapai Tribe, Navajo Nation, and Chinese descent, and a member of the American Indian Chamber of Commerce of Arizona. 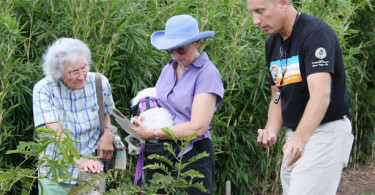 Before Tinhorn became an entrepreneur, she earned an MS in Computer Science from The Johns Hopkins University and a BS, in Computer Science from Arizona State University and worked in different sectors. She was a National Security Agency programmer, an IBM software engineer, a web master at the Phoenix Area Indian Health Service, and Deputy Executive Director of the Native Learning Center for the Seminole Tribe of Florida. Apps: ​Pandora, Yelp, Cartwheel, for mobile savings, and Wunderlist: to keep your life in sync. TV series: ​Project Runway All-Stars, Scandal, Blackish, and Fresh Off the Boat. I used to be an avid reader​ but that was before I started the business and had my daughter, Zoey. Twitter: For my business, I keep up with Facebook and Instagram. Movie: ​Mother’s Day with Julia Roberts, Jennifer Aniston, and Kate Hudson. See trailer. Musical artist: ​You can’t go wrong with the Queen of Hip-Hop Soul, Ms. Mary J. Blige. Dream job: ​Owning Tinhorn Consulting! Dennis Dyer keeps the Citizen Potawatomi Nation connected. 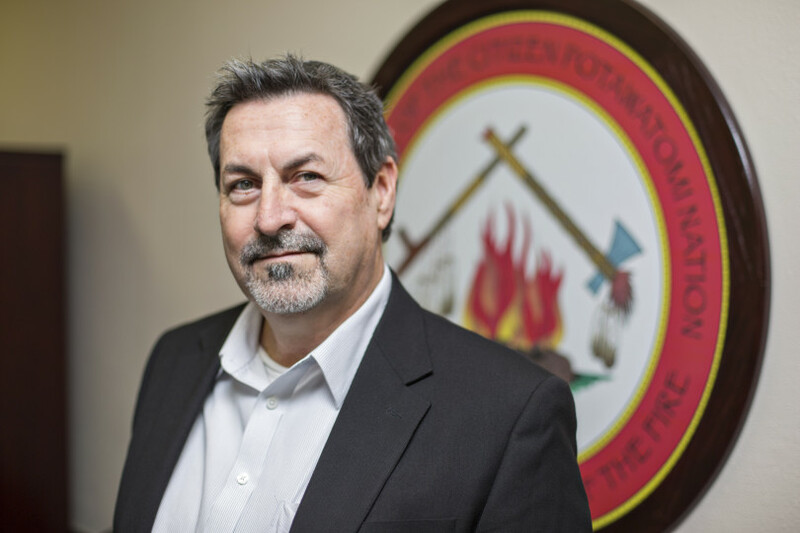 Dyer is Chief Information Officer and Chief Technology Officer for the Citizen Potawatomi Nation, a Sovereign Tribal Government based in Shawnee Oklahoma. Of Delaware Nation descent, Dyer directs the daily operations of the tribe’s managers, and is pushing for full broadband coverage for all members. Dyer, who studied Computer Science at Oklahoma Baptist University, is involved in several First Nation organizations. He is a liaison for the National Congress of American Indians with the First Responder Network Authority (FirstNet) created to connect the public safety community. The US Air Force Veteran has been president of the Oklahoma Native American Technology Council since 2012, and is a board member of TribalNet.The motto and goal of the group, which is a resource for technology professionals in the Native American industry, is Bringing Technology and Tribes Together. For nearly 40 years, Dyer has also been a singer, songwriter, producer, and manager with Red River Entertainment. Archana Sankaranarayana moved from flowers to the software field. Sankaranarayana included in a Coursera profile of her that she “grew up in [a] southern part of India surrounded by corn and sunflower fields.” As a Front End Engineer at Coursera, which provides free online courses from top universities, she is now surrounded, if not literally, by digital tools to enhance user experiences. Prior to joining Coursera in 2014, the self-professed “CSS and styleguide fanatic” earned an MS in Information Systems Management from Carnegie Mellon University and a Bachelor’s Degree in Information Technology from the PSG College of Technology, in Chennai, Tamil Nadu in southeastern India. A non-exhaustive list of information Technology and Related links. With a national conference and 40 chapters, BDPA (originally Black Data Processing Associates) brings together African Americans working in information technology for networking and professional development. A global organization helping tech-savvy women attain their professional goals. Based in the Washington, DC, metropolitan area, WIT brings women together for networking, business referrals and an acclaimed, twice-yearly mentoring program. ACM serves more than 75,000 computing professionals in more than 100 countries, with special interest groups (SIGs) on topics ranging from computer architecture to e-commerce. SIGs often sponsor conferences and produce e-newsletters. With local chapters everywhere from Birmingham to Milwaukee, AITP helps IT executives, academics and students expand their industry knowledge and connect with peers. For software developers creating products for use on a “try-before-you-buy” basis, ASP offers members-only newsgroups, help with development and marketing, and ways to connect with shareware brethren. CPSR is an alliance of computer scientists concerned with technology’s impact on society. The group provides politicians and the public with assessments of the “power, promise and limitations” of computer technology. ICCA provides a forum for indie consultants to network, learn about business practices and tax issues, and otherwise support each other at conferences and chapter meetings. Information Technology Association of America: ITAA provides information about the IT industry and its issues. The association sponsors programs, publications, meetings, and seminars. Information Systems Security Association:ISSA is a not-for-profit, international organization of information security professionals and practitioners. With more than 100,000 members, the group offers conferences, tutorials, journals and others services to its worldwide membership. It is the world’s largest organization for computer professionals. With chapters from Atlanta to San Diego, NPA helps CNEs, MCSEs and other certified network professionals connect and gain recognition for the discipline of network computing. STC provides a haven for the technical writers, documentation specialists, information architects, interactive designers and technical writers who work in a field now known as technical communication, serving them with conferences, competitions, and assorted SIGs. With 20 to 30 events each month, SDF provides a way for Silicon Valley techies, entrepreneurs and venture capitalists to network and learn from each other. As a union affiliated with the Communication Workers of America, WashTech fights for techies’ rights on issues such as contracting, offshoring and training.